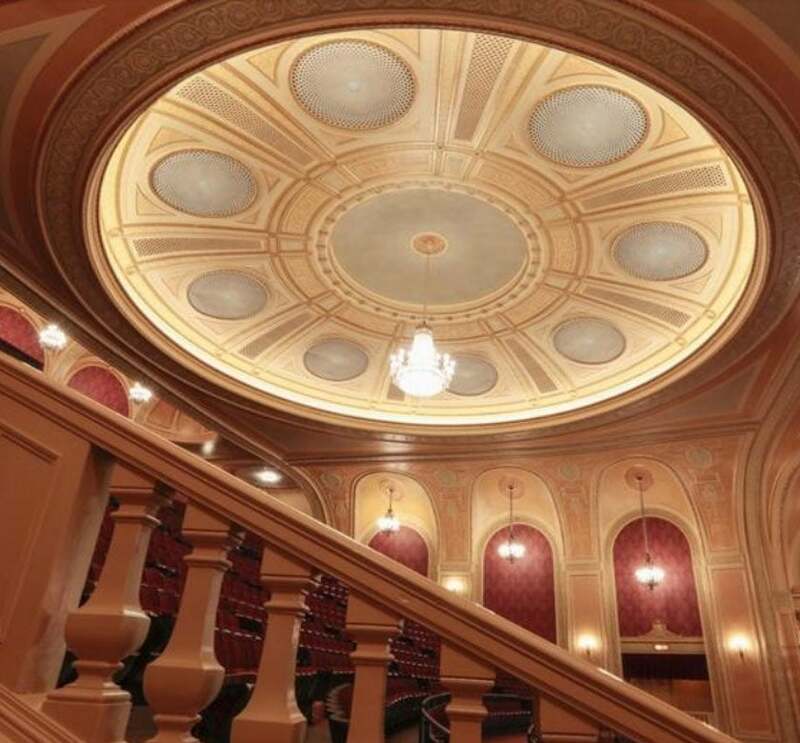 Proudly listed on the National Register of Historic Places, our 92-year-old Palace Theatre has completed a full facelift of its now 2,695-seat auditorium as part of an ongoing $6.5 million renovation. 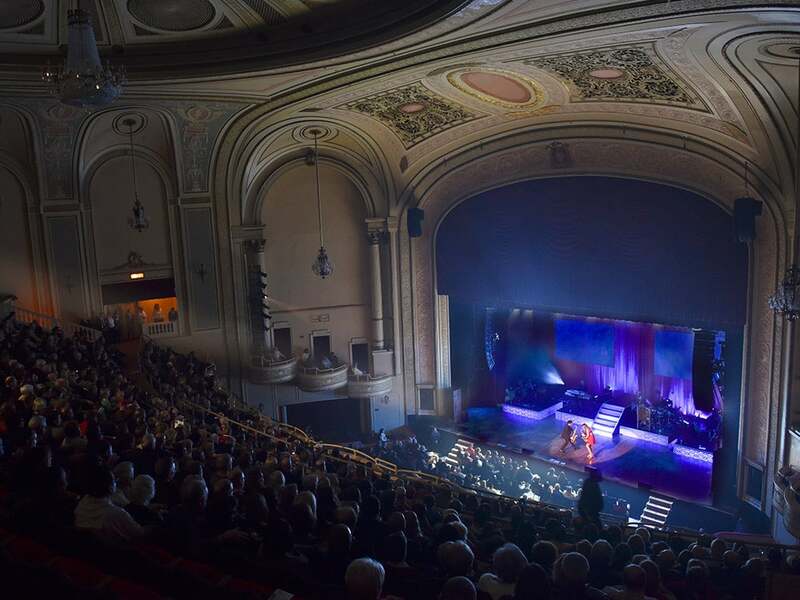 Adjacent to downtown Columbus’ LeVeque Tower, the six-month, main-hall makeover included the repair of damaged plaster, new paint in a new color scheme, all-new seats on the first floor, and fully refurbished seats in the balcony. 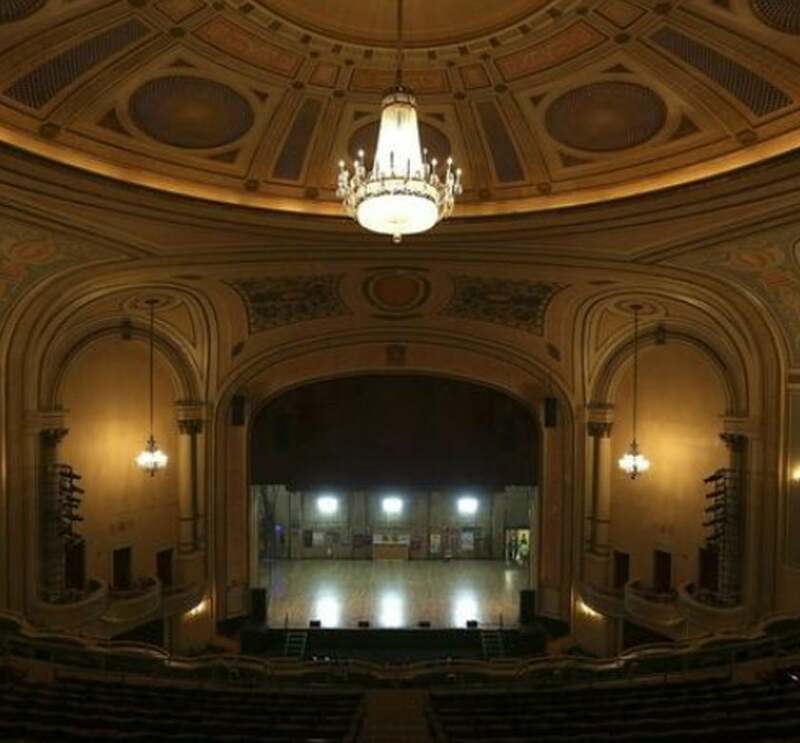 The Palace Theatre reopened to the public in November 2018, but the work on her renovation is not yet finished. 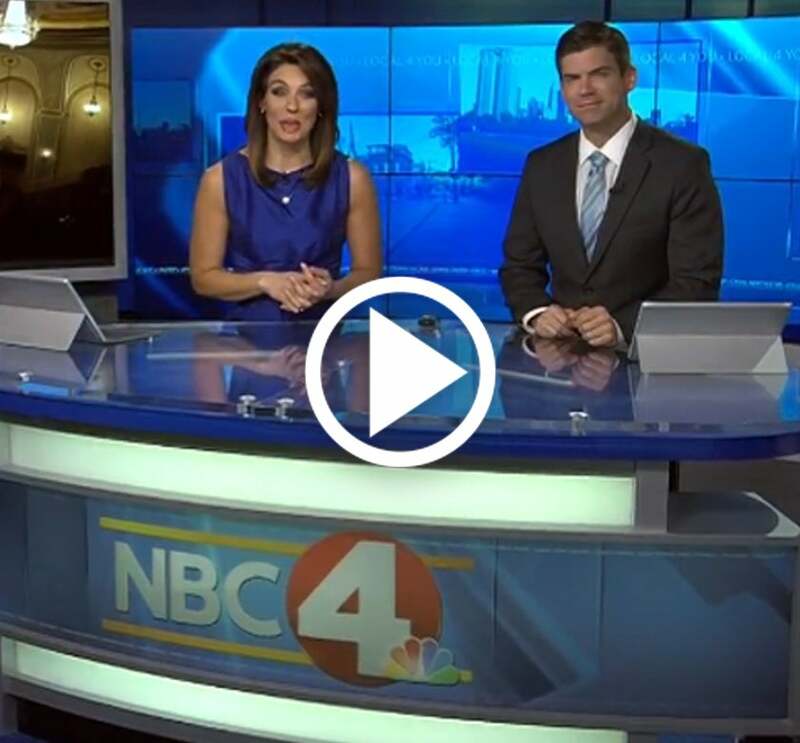 For questions, please contact Barbara Markus at 614-719-6702. 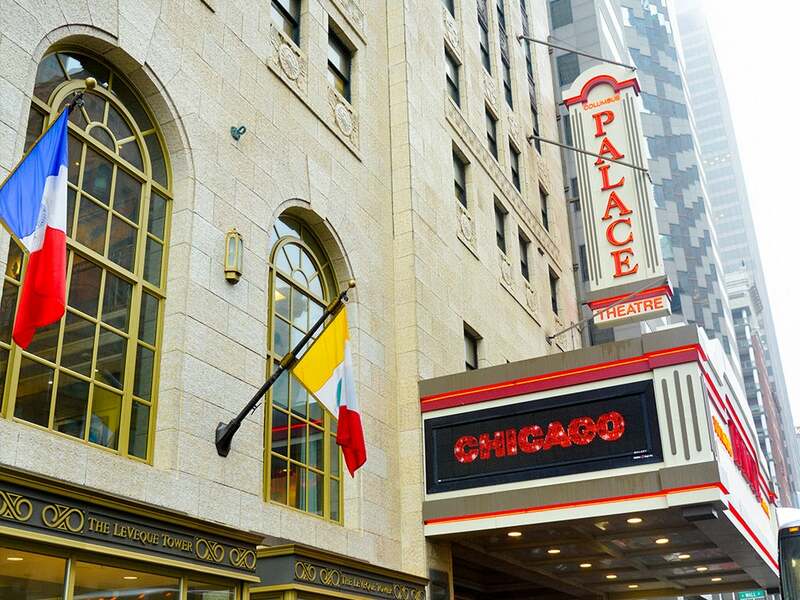 Designed in the spirit of France’s Palais de Versailles, the 2,695-seat Palace Theatre is located at the base of the LeVeque-Lincoln Tower. 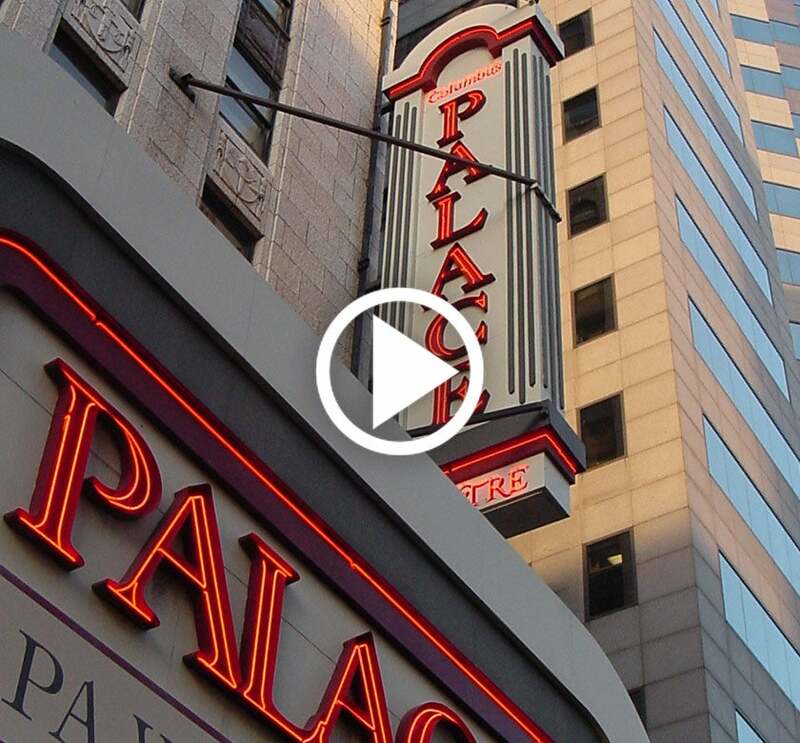 Adorned with chandeliers, a grand staircase, mural, hall of autographed pictures, and a fountain, the Palace is a delightful destination for an evening with the arts. 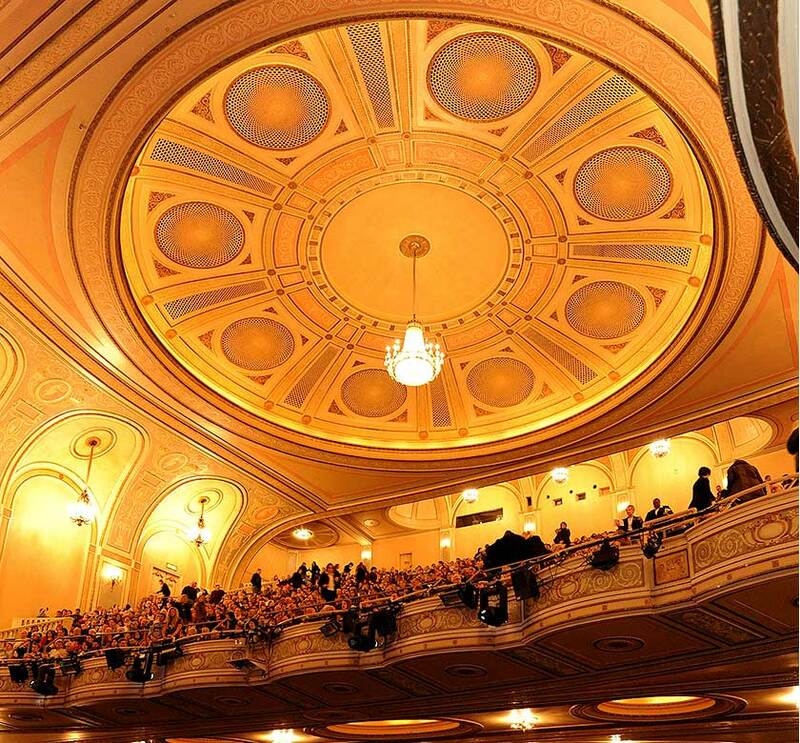 Originally a vaudeville house, special attention was paid to the theatre’s acoustics when it was built. 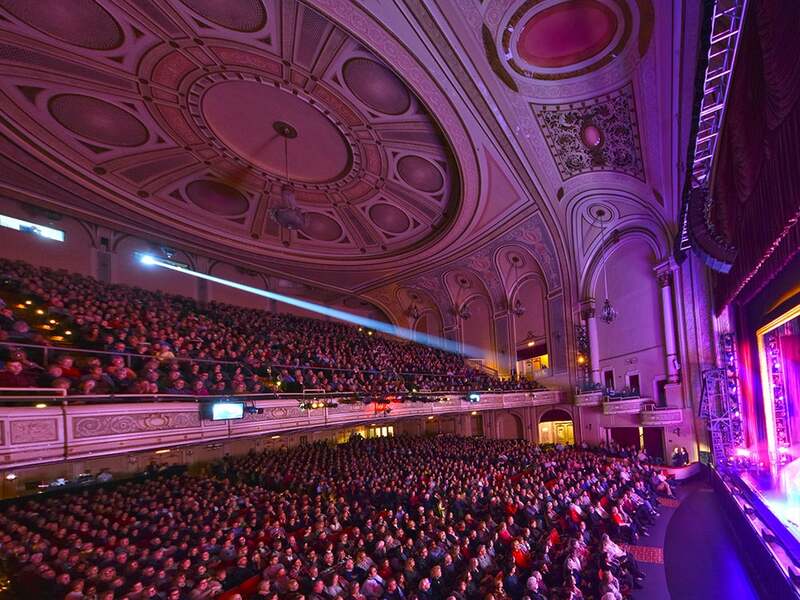 Consequently, there’s not a bad seat in the house. 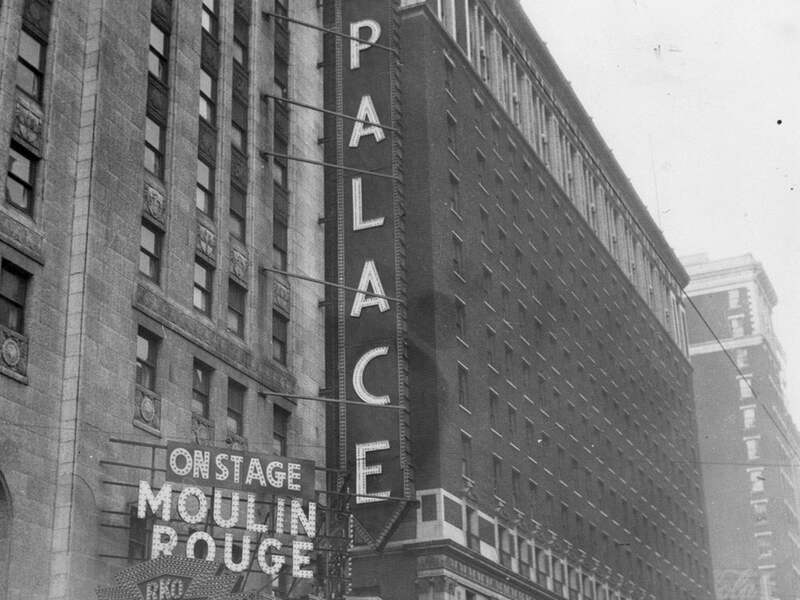 The first-floor anchor of the iconic LeVeque Tower, the Palace Theatre was the most active, live performance theatre in Columbus during the '30s, '40s, and '50s, but when business slowed in the 1960s, the theatre fell on hard times, and in 1973, it was purchased by Fred LeVeque. 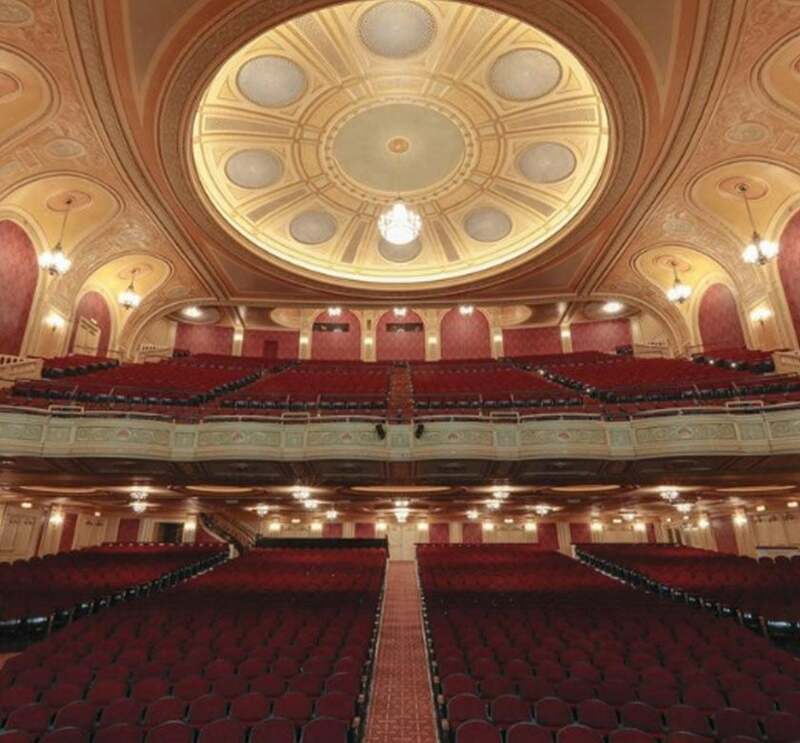 After his death in 1975, his wife Katherine invested $3 million in renovations to the theatre's seating, plumbing, electrical wiring, and room, and re-opened the venue on February 4, 1980. 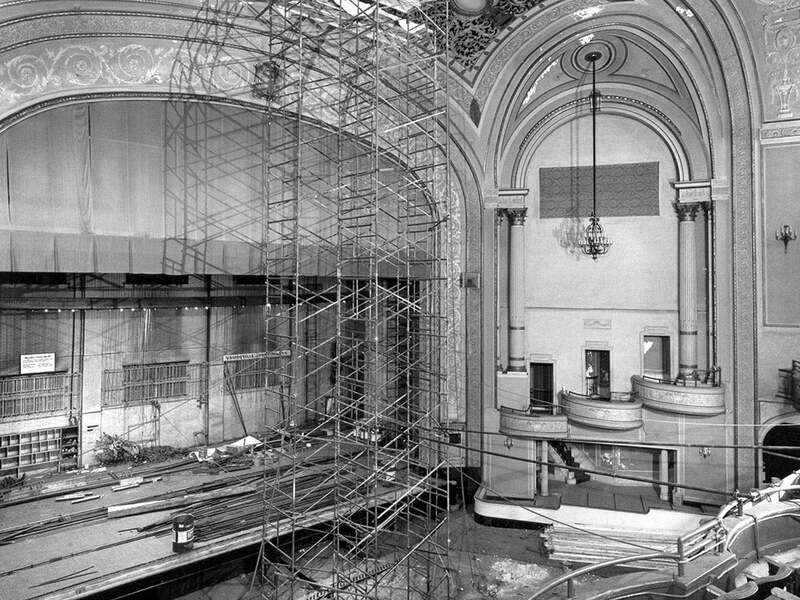 This was the last time the Palace Theatre received a significant renovation. 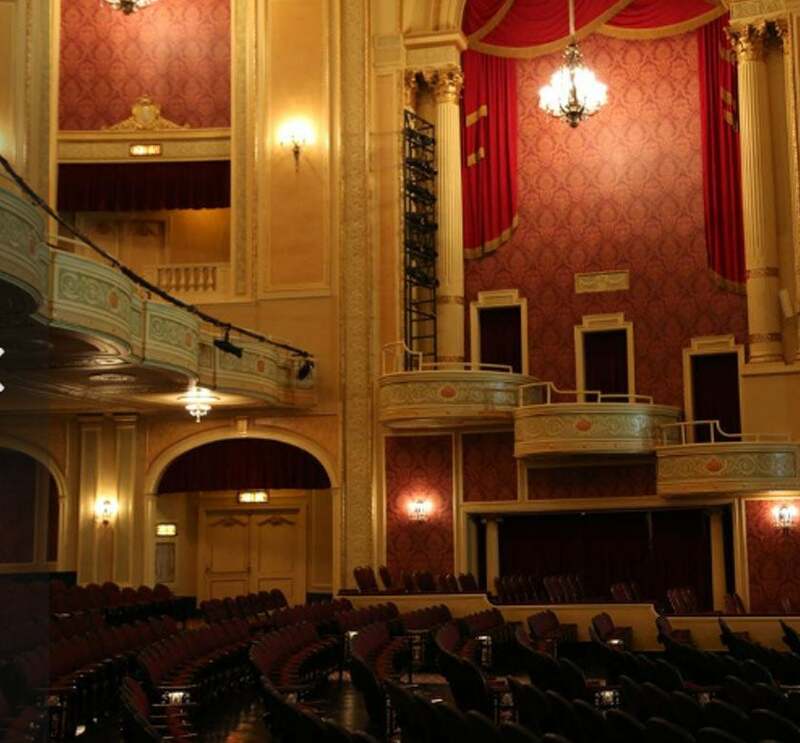 In 1989, Mrs. LeVeque transferred ownership of the theatre to CAPA, and remarkably continued to pay all the heating and cooling costs for the Palace until the building was sold by her estate in 2011. 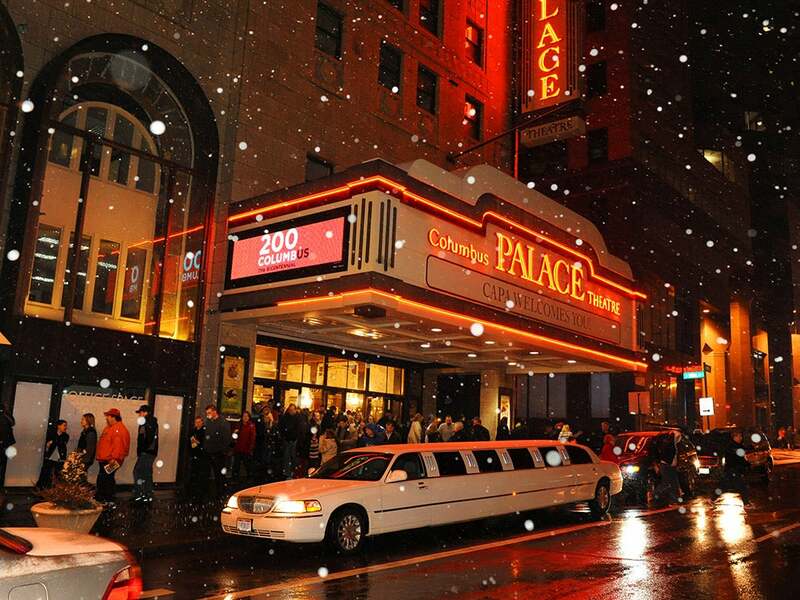 Today, the Palace Theatre is central Ohio's "workhorse," hosting a wide variety of events and performances each year. 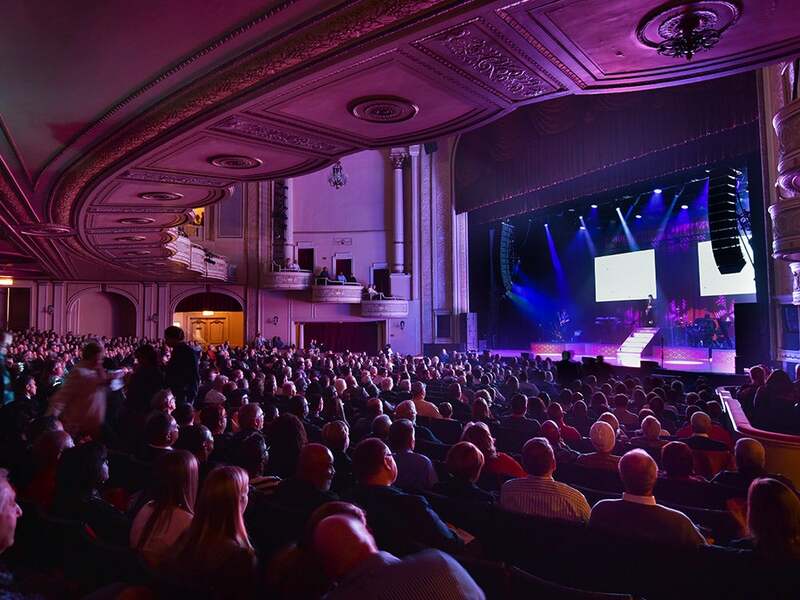 Many of those events are one-night-only performances - such as concerts or comedians - which allows for more availability in CAPA's other venues to host multi-performance engagements from central Ohio's resident performing arts companies.